Suffering aches and pains? It may be time for a new mattress. According to specialists at the Johns Hopkins Center for Sleep, morning physical soreness is a top indicator your sleep surface is due for a reboot. After all, a mattress is probably a home’s most-used piece of furniture, and we spend more than a third of our lives sleeping. A bed’s discomfort usually stems from the sleepless valleys that provide little comfort or support. Mattresses may last for 40 winks, but not for 40 years. A sleep surface’s durability depends on the material and manufacturing quality along with use and care of the mattress. A high-quality latex mattress may last more than 20 years, and an innerspring core more than 10 years — but many one-sided mattresses today last only a few years, no matter what they’re made of. Two-sided, flippable mattresses were common until the early 2000s, when one-sided mattresses were re-introduced and became more commonplace. One-sided mattresses are constructed with a foundation, from the ground (or bedframe) upwards, with a rigid foundation fabricated to ostensibly provide support, right up to a comfort layer of plush. Only one side of the mattress is meant for sleeping on. A two-sided mattress is manufactured so that both sides are usable. Much like a cake, two-sided mattresses have layers — for example, a cotton cover enveloping a layer of cotton batting, which surrounds a core of latex, springs or other materials. These “cakes” can be a few layers — or more than a dozen. No matter the price, two-sided mattresses are just a good value, says Blake Garfield, general manager at Bedrooms & More, in Seattle. Garfield has design and sold mattresses for 22 years, and has observed the difference. “People keep two-sided mattresses three times as long,” he says, because sleepers can distribute the wear by flipping and rotating the surface in many ways, rather than just rotating (as with a one-sided mattress). Two-sided mattresses can also contribute to a great night’s sleep. A well-rotated mattress distributes a sleeper’s pressure and avoids the dreaded bed sag. For all beds, if a mattress isn’t flipped or rotated, body impressions can occur. A one-sided mattress can be rotated – or turned 180 degrees, moving the foot area to the head (and vice versa). It’s a critical step for futons and innersprings, along with hybrids. Flipping a mattress requires turning the mattress over, like a pancake. But it can also be rotated as well, to extend the plush (comfort) life. Ideally, mattresses are flipped three to four times a year, or more. There isn’t one universal “best mattress” for every human being — at least as far as research is concerned. 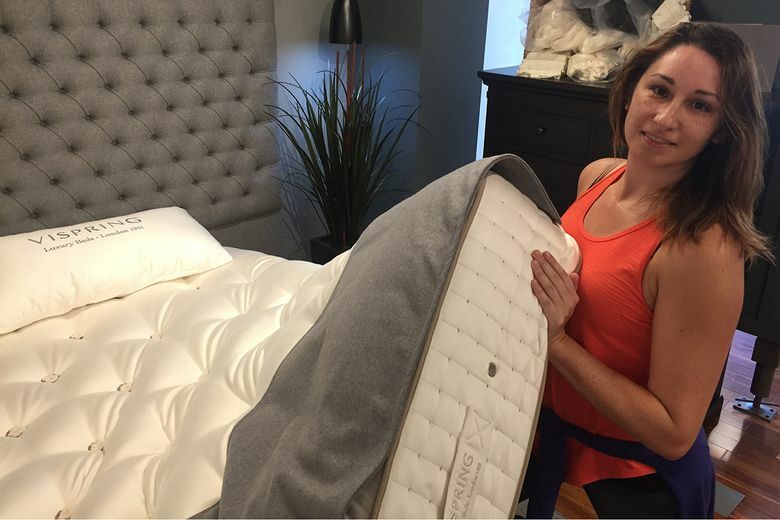 Some studies have indicated that a medium-firm mattress descreases pain on rising and daytime low back pain. Consider your body type, personal preference, budget and warranties and return policies for any mattress, suggests John Hopkins Medicine. Medical conditions that affect sleeping position, comfort and mattress choice such as acid reflux, low back issues or sleep apnea. But for “continuity of comfort, long-term value and better quality of sleep,” a two-sided mattress is recommended, Garfield says. Over the past 45 years, Bedrooms & More has become the Pacific Northwest’s bedrooms destination store. There’s no hard sell. No wheeling and dealing. Just good people helping good people create the safe, relaxing bedrooms they want.